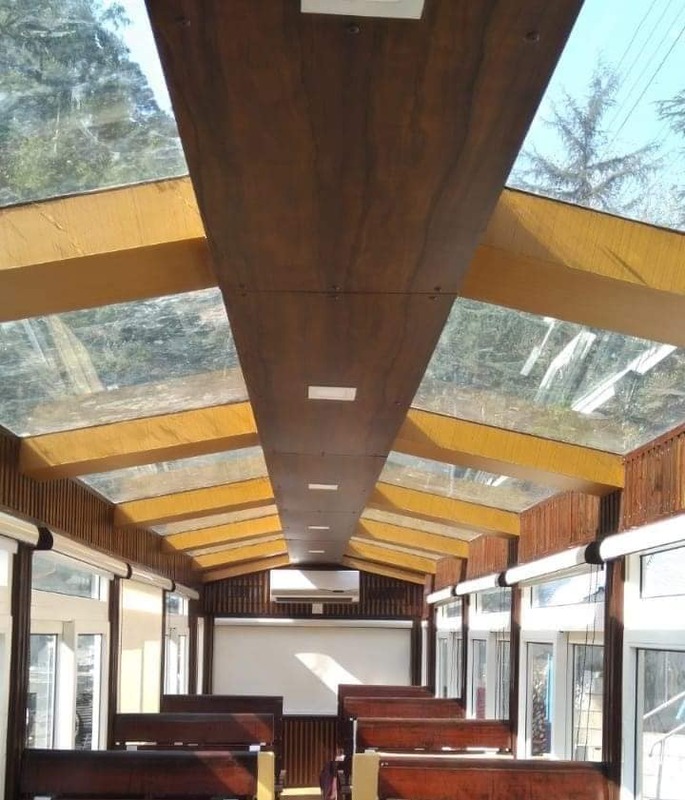 With a view to provide a delightful travelling experience to passengers, the Northern Railway will introduce a Vista-Dome coach having see-through glass top roof that will ply between Kalka and Shimla. This railway section under Ambala Division of Northern Railway is a UNESCO world heritage site. Vistadome Coach (Glass Domed) will be an attraction for the tourists. 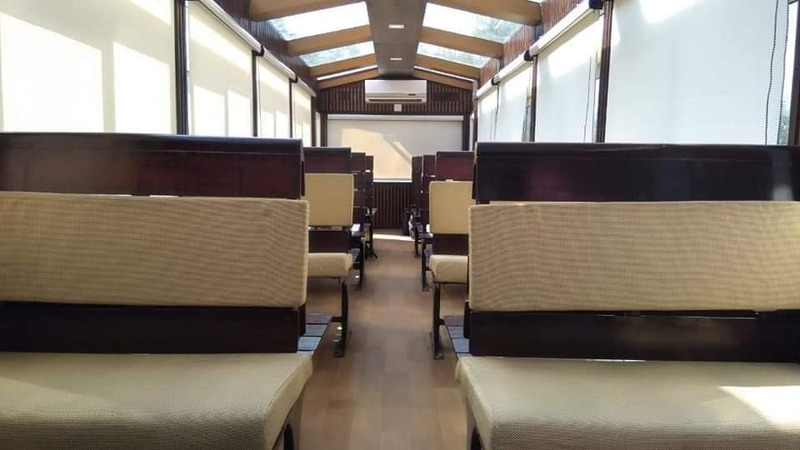 This Coach with seating capacity of 36 having glass roof, modified windows and air Conditioning system will comprise of designer LED lights, window blinds and cushioned wooden interiors. 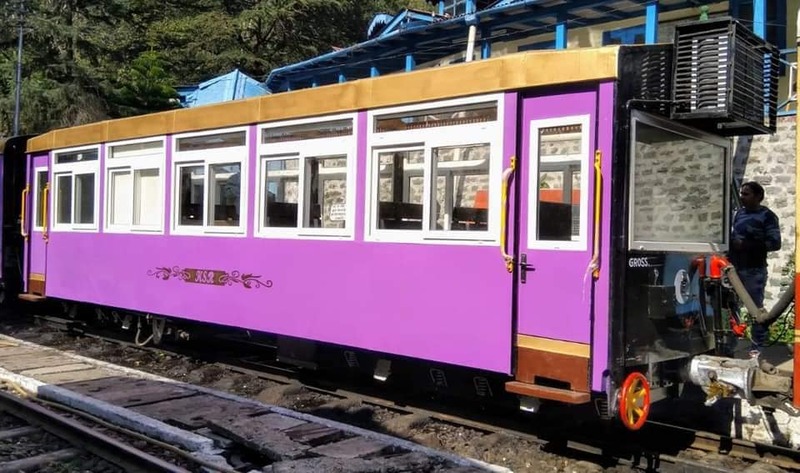 This special and aesthetically-designed Vistadome air-conditioned coach CT-15 also known as Nihaar, is a first-of-its-kind in this Kalka–Shimla Railway Section. The Vistadome coach has been modified and furnished in Carriage and Wagon Depot at Kalka. Commuters travelling on this train will have this special coach with a glass-roof Vistadome to enjoy beautiful scenic view of the Himalayas. A unique feature of this coach is that the passengers or tourists can now sit relaxed in their seats and enjoy panoramic view from the Vistadome coach for a better sightseeing experience. Vistadome coach is likely to be put into service shortly.